This impact story was published by Ashraya Initiative. Learn more about us, or see the lives we've changed! Babita married to her husband three years ago when she was 15 years old, but she ran away from her in-laws’ house after only a few months’ of marriage because of the abuse of her mother-in-law and husband. Multiple times over the past three years, she has been sent back to her husband’s family’s house and has tried to live harmoniously with her in-laws, but her mother-in-law and husband have continued to harass and physically abuse her over dowry issues. Last year, her husband took a second wife as well. Two months ago, Babita’s mother-in-law beat her severely and tried to douse her in kerosene, before she was rescued by on-lookers, who summoned her parents to collect their unconscious daughter. During the medical examination that ensued, it became known that Babita is pregnant. Having recovered from the attack, Babita is now in the process of pressing charges against her in-laws, and she vows that she will never return to them. 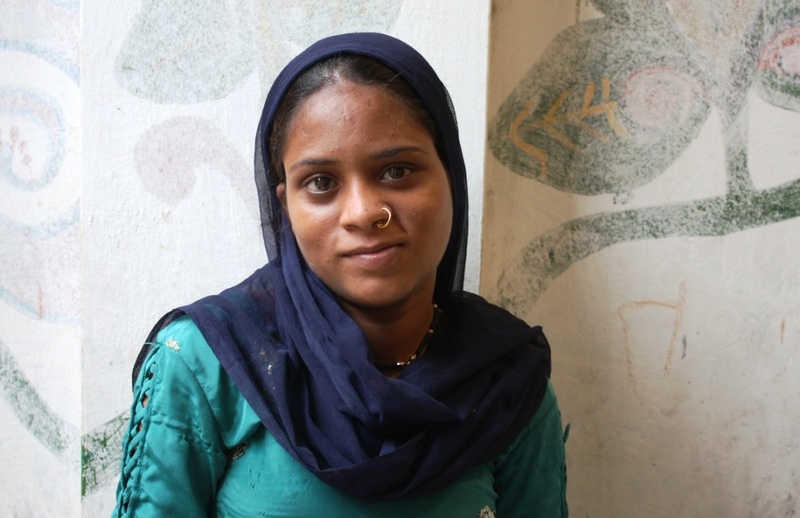 She is staying with her parents and siblings for now, but her family is extremely impoverished and cannot afford Babita’s medical care during pregnancy, which is why Babita sought the help of AIC’s free antenatal care program. Through this program, Babita receives comprehensive medical care – check-ups, medication, prenatal vitamins, and full coverage of her delivery costs – throughout her pregnancy. She also benefits from the supportive presence of AIC’s social workers and community health workers, who accompany her for all medical visits, counsel her, conduct home visits to follow-up and offer guidance and care for a first-time mother, particularly one as young and traumatized as Babita. Lastly, Babita has the option of coming by the AIC Health and Community Centre for daily nutritious meals, an opportunity that she frequently takes advantage of, as she is staying with her parents and siblings and there is never enough for more than one meal per day in their house. Although Babita has been through so much leading up to this pregnancy, she has firm resolve that her unborn child will have a better life than she has, and is grateful for the medical care and support that is helping her start to fulfill that promise.